As a family owned and operated small business we work hard to make you the best product available. And, with four sworn law enforcement professionals in our family, we understand the importance of having the best possible equipment out there in the field. That is why we don’t believe in compromises in safety or quality. And because of that belief we personally inspect every product made and make sure that you are pleased with it before you ever take it out in the field. 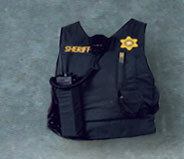 We are the only company that will actually tailor your vest, as many times as needed - for free - to make sure that it fits you as well as possible. If you are happy with the product we have made for you; there is no greater compliment than your referral to other law enforcement professionals. Nearly 25% of the visits on our website come from referrals from other police websites and we would like to see that number grow!! 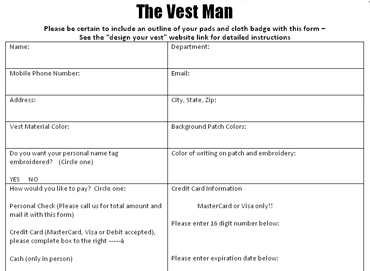 If you are interested in posting a comment about our products on a police related website, please email Kevin at libby@thevestman.com for some ideas on how to best get your comments noticed by other law enforcement professionals searching on the Internet. Thank you so very much for your help!!! 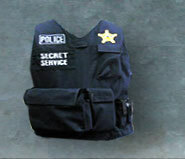 Before ordering your personally customized External Vest Carrier make certain that you have made all necessary measurements within the Measure section of our site. To complete your order print and fill out the following Order Form and mail it to our address listed in the measure section of our site. You may also download a word document version of our Order Form.